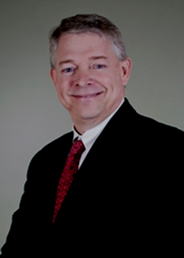 Tim McLain is a partner & Vice President of McLain, Hill, Rugg & Associates, Inc. managing two offices (Zanesville and Newark) and has over 38 years experience practicing in public accounting. His areas of specialization include business and individual income tax preparation and planning, business and estate planning, assistance in business valuations, business consulting, trusts, real estate, manufacturing, oil and gas, and small business. Tim’s goal is to be his client’s first resource for any accounting, business and tax needs. Tim is a member of the Ohio Society of Certified Public Accountants and the American Institute of Certified Public Accountants. Community involvement has been a focus of the firm and Tim plays an active part. Tim is a Board member of Century National Bank, Park National Corporation and Perry County Community Foundation. Tim is actively involved with Grace United Methodist Church, founding member of Zanesville Daybreak Rotary and Board member of Muskingum Valley Miracle League. His other community service activities have included positions with other local organizations including Muskingum County Community Foundation (Past President) and Muskingum County Library System (Past President). Tim is also the proud grandfather of three beautiful children. He enjoys a relaxing round of golf with friends, dancing with his wife of 39 years and fishing on trips to Canada with his family.